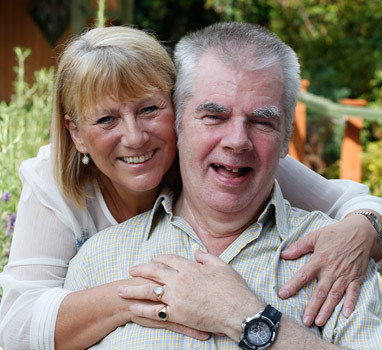 Billy had not had the easiest of lives until he came to Ferguson Lodge. He had always suffered from communication problems, rarely spoke to those outside his close family group and was shy and withdrawn. Within weeks he was completely at home and you couldn’t shut him up! This is all down to the fantastic job the whole team do at Ferguson Lodge. Everyone cares, everyone takes the time to talk and include the residents. A real family. I get a great deal of peace knowing Billy was happy and content in his final years. Les is so well cared for at Ferguson Lodge. When it came to the decision that Les couldn’t be cared for at home any longer, choosing a care home was always going to be difficult. The Lodge came with a great reputation which has turned out to be very true. I visit whenever I can and am always welcomed in as part of a big extended family. The care Les receives is second to none, I have every confidence in the staff and the fantastic job they do. 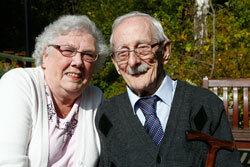 All the people we spoke with told us they were happy with the care provided at the home. People’s needs were assessed and care and treatment was planned and delivered in line with their individual care record. For instance, we observed that one person required one to one support every day from staff. We saw that they had been supported one to one and observed them going out to a day centre. We also observed a number of other people setting off to attend various community activities unaccompanied. We saw that for people who required direct support it was provided by staff.